Season your Chicken Quarters liberally on top and under the skin. 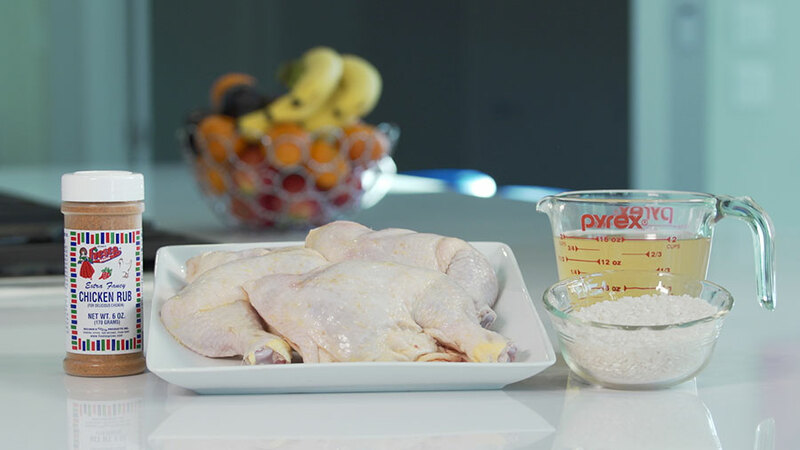 In a 9×11 baking dish, combine rice and chicken stock. Place chicken pieces, bone down on top of the rice. Cover with foil and bake at 350°F for 45 minutes. 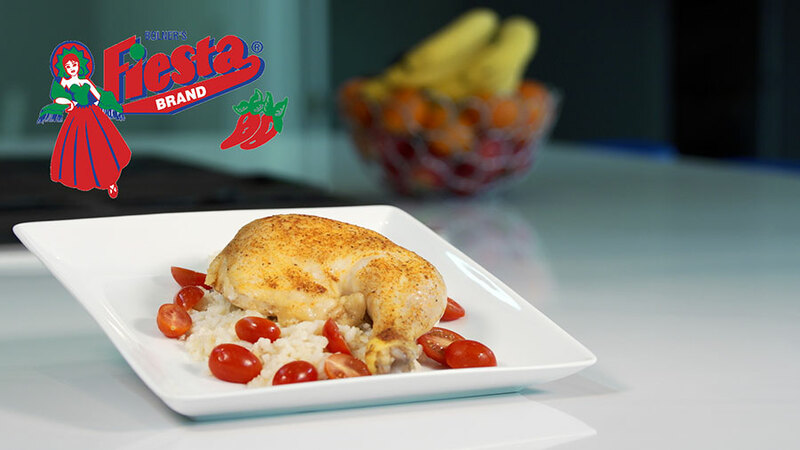 Uncover and turn oven to a low broil for an additional 5-10 minutes, until chicken is cooked through (165°F) and the skin is crispy. Serve and enjoy!